Tiny Treasures is a program designed to capture your baby’s first year of life with amazing professional photography. Each stage of development is an opportunity to create fantastic images that you will cherish for many generations to come. The program fee is $99. There is also a bonus maternity session available if you book early. We offer special products for each stage and have reduced pricing for our members. screen. 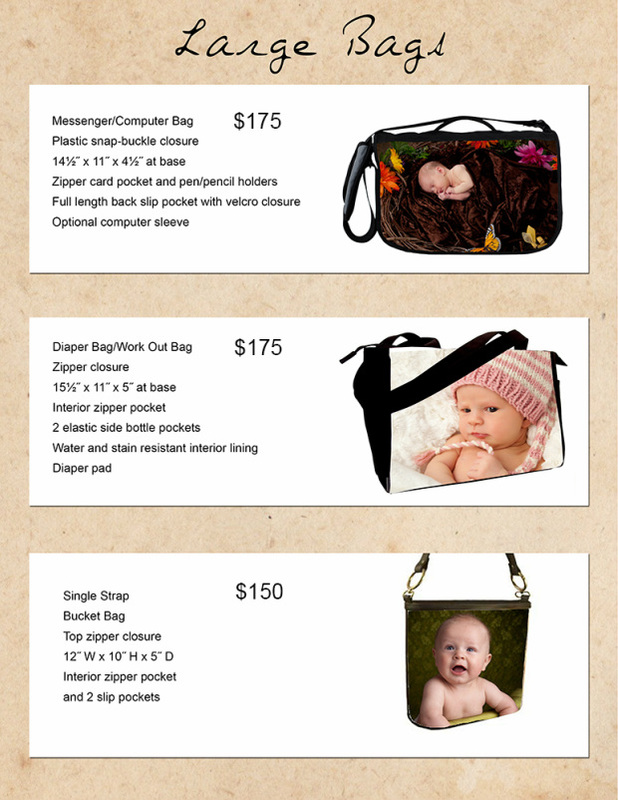 You will be able to view the images, narrow it down to your favorites, and place your order. right selection for your needs. Please remember we do not offer any on line view of the images or any type of paper proofing system. All choices will be made by those present for the viewing. It is highly recommended that small children be left at home for this appointment and anyone who has a say in the images selected be in attendance. We do not offer set packages of prints for you to order. It's never really what you want so why waste your money? We would rather you have the choice to order off of any pose, in any quantity. 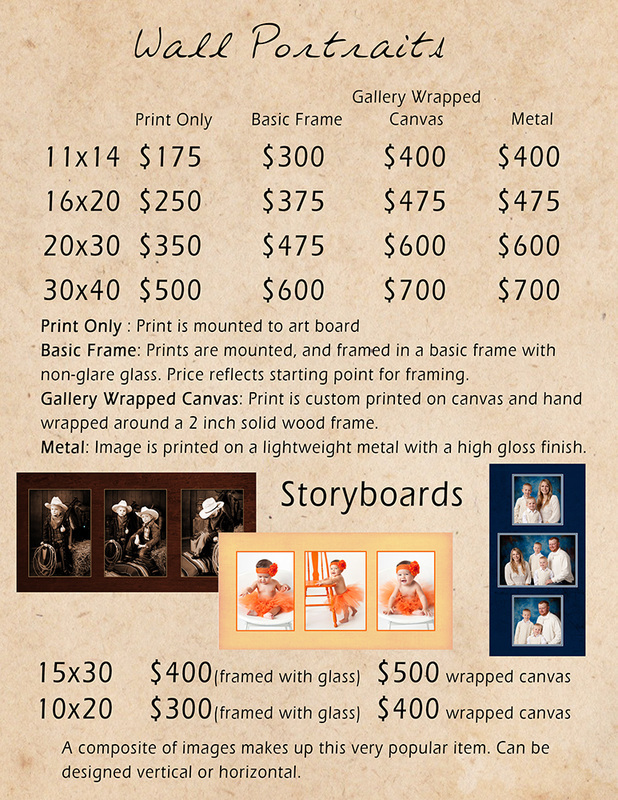 If you would like to get a "package" discount, we require you purchase a wall portrait from your session. A wall portrait is any size 11x14 or larger. This can be framed, gallery wrapped canvas, or print only. We find most people love to order our 10x20 or 15x30 composites. 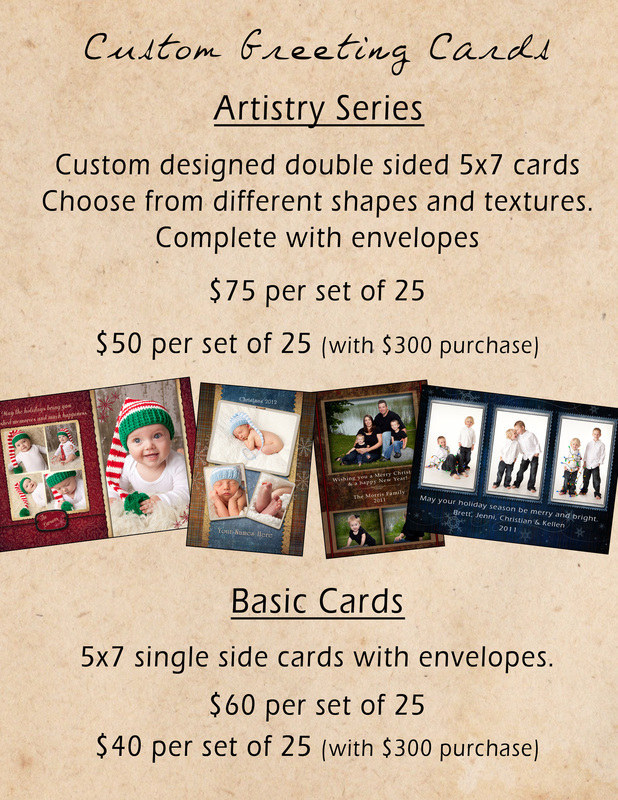 They come with 3-5 images and are custom designed to compliment the session. They come in a choice of framed with glass, or gallery wrapped canvas. Ideal for those that just want to go home with something ready to hang. Since this meets the qualifications to receive the discount, it's very popular. Here just a few of our best selling bags.